You’ve said “Yes!” You and your future spouse will carry the memory of this moment forever, when everything is perfect - you are both in love, excited, and in a state of complete bliss. It’s time to plan the wedding, of course! It’s a day many of us have envisioned in our minds since childhood. But the realization of what that special day entails, and ultimately, what it will cost, can be overwhelming to say the least. The first step in every couple’s planning process is determining what kind of wedding you both want. Small, simple ceremony on the beach? Backyard wedding with family and close friends? A large, traditional church wedding with an even larger reception to follow? Whatever your dreams may be, deciding the type of wedding you’ve been envisioning will help you determine your wedding budget. The Big Question: How Much Does the Average Wedding Cost Today? According to The Knot’s Real Weddings Survey, in which they polled approximately 13,000 couples who married in 2016, the overall average cost of a wedding in the United States is a staggering $35,329 - and that number does not factor in the honeymoon! The average cost has steadily increased over the years and according to The Knot’s study, the reason for the increased leap in spending is due to over-the-top trends which cause a huge spike in the wedding budget. But keep in mind, this number is just an average, and couples who are looking to save their pennies can drastically reduce that number by prioritizing and keeping to a wedding budget. One good tip to help prioritize your spending is to remember what stands out most about the weddings you have attended in the past. Besides the venue, the dress, and the food, a good party with great music and dancing will really make your special day a memorable one for you and your guests. Here’s where HPS Entertainment can help! With wedding DJ packages tailored to suit your every need, we will help you create an unforgettable event. 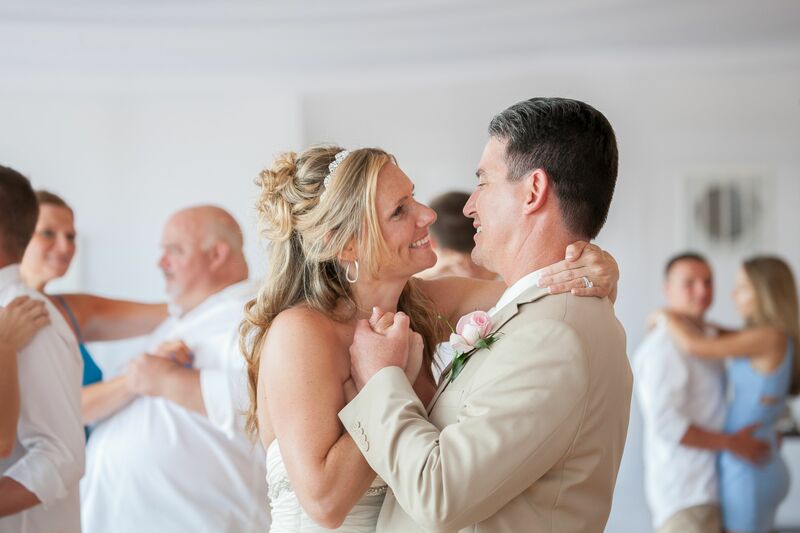 With more than 19 years of experience in the wedding DJ industry, you can rest assured that the award-winning, fun, and professional DJ’s of HPS Entertainment will make your wedding a day to remember.